Want to see all the technologies used by bigthink.com? 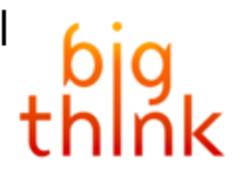 Since BigThink.com went live in 2008, our mission has been to help people get smarter, faster. To this end, our free public website provides access to idea-driven video interviews with thousands of global thought leaders – Salman Rushdie, Oliver Sacks, Dr. Michio Kaku, and many, many more. Informed by their collective wisdom, BigThink.com is an evolving roadmap to the best thinking on the planet – the ideas that can help you think flexibly and act decisively in a fast-changing world. Big Think Edge takes our "smarter, faster" approach into the corporate sphere. It is a corporate learning platform offering actionable video insights from today’s leading experts. Big Think Edge is designed to help companies attract, develop and retain top talent at all levels of the organization. For a quick look at additional technographic info on bigthink.com or any domain on the web, download our Chrome Extension. Check out our help article to see how Datanyze Insider can help you.